With MMK digital, Mayr-Melnhof Karton is the pioneer in the digitalisation of the cartonboard industry and sets new standards in terms of speed and communication. Metsä Board, a leading European producer of premium fresh fibre paperboards, is launching a new eco-barrier paperboard. 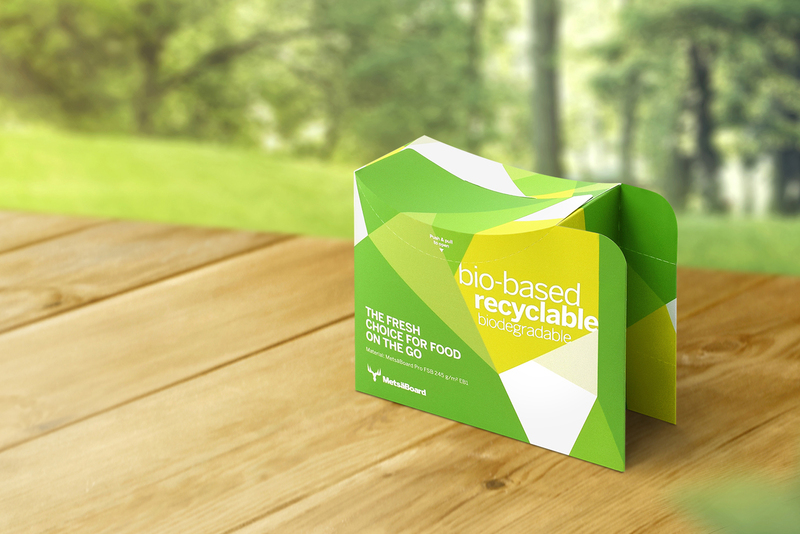 This new, innovative paperboard with a special barrier treatment is bio-based, recyclable and biodegradable, and developed especially for food service use. On top of the sustainability benefits of this new product it also offers efficiencies in printing and converting. Billions of consumer packages are consumed globally every day, and the amount is growing. The Better with Less – Design Challenge is challenging packaging designers to create ever more environmentally-friendly, functional packaging solutions for everyday goods. The international competition jury includes renowned packaging design experts. Metsä Board has once again been rewarded a position on the CDP Water A List as well as on the CDP Climate A List. When Apple CEO Tim Cook wanted to discover more about the sustainability work that lies behind the paperboard material Invercote, he visited the forest outside Iggesund in Sweden. The EU has decided against taxing plastic products, in favour of raising public awareness about the harm that plastics are doing to the environment. How are cities becoming more sustainable? Curious to know what cities are doing to become more sustainable, and how packaging can be part of the solution? It was a great moment for the Finnish family distillery Lignell & Piispanen, when the company’s new Gustav Dill vodka was at the top podium in the International Wine and Spirits Competition (IWSC) in London. WEIG-Karton will be presenting themselves in a new light at the 17th Global Gypsum Conference & Exhibition in Kraków in Poland in October. The focus will be on three aspects: the new positioning of “Driven by care”, the UNIPLAC® plasterboard liner for maximum production stability and worldwide reliability of supply at the same high-level quality standards. The latter will be visualized by the new “global hands” key visual. In a first of its kind project the Confederation of European Paper Industries (CEPI) has called upon its member companies to voluntarily exhibit innovative, emissions-reducing projects that centre on increasing energy efficiency and promoting the use of renewable energy sources. One of the world’s most widely used forms of packaging – the blister pack – can now be made totally in paperboard. Two major benefits are reduced environmental impact and less consumer rage and self-injury. Metsä Board's uncoated white kraftliner, MetsäBoard Natural WKL Bright, provided the ideal solution for Kyrö Distillery's gift packaging for its premium Napue Gin brand. The international packaging manufacturer Multi Packaging Solutions (MPS), part of WestRock, has installed the world’s first Speedmaster XL 106 with 18 units at its Scottish site in East Kilbride. MPS is responding to the high level of customer demand on the part of designers and brand owners for a wide variety of finishing options and premium quality.